NEW DELHI (Scrap Monster): The joint study conducted by the Associated Chamber of Commerce & Industry of India (ASSOCHAM) and PwC indicates that generation of hazardous waste in the country is increasing at around 2-5% every year. The study titled ‘Waste Management in India-Shifting Gears’ notes that nearly 10-15% of the industrial waste produced in the country is hazardous in nature. The study identifies petrochemicals, pharmaceuticals, pesticides, paint and dye, petroleum, fertilisers, asbestos, caustic soda, inorganic chemicals and general engineering industries as the major generators of hazardous waste. Further, the study finds that hazardous waste generated by these industries contains heavy metals, cyanides, pesticides, complex aromatic compounds and other chemicals. These hazardous wastes are toxic, flammable, corrosive, highly reactive or are identified to possess explosive properties, the study notes. Estimates suggest that around 44,000 industries in the country generate approximately 7.46 million metric tonnes of hazardous waste in a year, out of which 46% is land fillable waste, 45% is recyclable and the remaining 9% is incinerable. The recently notified Hazardous Waste Management Rules, 2016 categorizes hazardous waste and other waste. According to the notification, hazardous waste means any waste which by reason of characteristics such as physical, chemical, biological, reactive, toxic, flammable, explosive or corrosive, causes danger or is likely to cause danger to health or environment, whether alone or in contact with other wastes or substances. The rule further states that generator of hazardous waste is responsible for safe and sound management of the waste. It must be either sent to authorized user or must be disposed of in a authorized disposal facility. 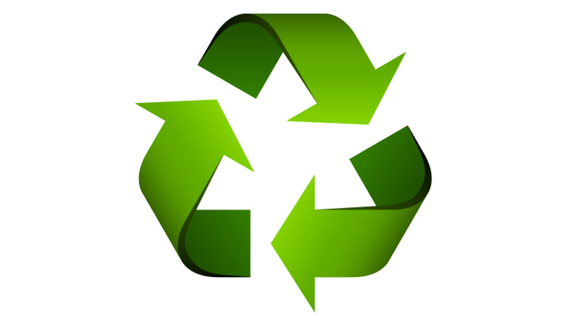 Other waste is treated as a resource and must be used for recycling or reuse. Hazardous waste are generally handled using conventional methods such as land filling and incineration. Transportation and handling costs make land filling extremely expensive. Installation of huge capacity incinerators costs much. Further, if not operated optimally, incinerators may result in emission of toxic chemicals such as Dioxins and Furans. Co-processing of hazardous waste is considered a better and sound alternative. The co-processing of compatible hazardous waste in cement kilns ensure that hazardous waste is destroyed at high temperatures. Also, no residues will be left, unlike incineration which requires further land filling of incinerator ash. The study highlights introduction of single window clearance system for setting up new hazardous waste disposal facility. The rule authorizes state governments with more responsibilities to ensure sound management of hazardous and other wastes. The import of metal scrap, paper waste and various categories of electrical and electronic equipment for re-use doesn’t require Central Ministry’s permission, the study noted. It proposes that more effort needs to be put in to recover value out of hazardous industrial waste. The Associated Chambers of Commerce and Industry of India (ASSOCHAM) is one of the apex trade associations of India. The organization represents the interests of trade and commerce in India, and acts as an interface between industry, government and other relevant stakeholders on policy issues and initiatives. The goal of this organisation is to promote both domestic and international trade, and reduce trade barriers while fostering conducive environment for the growth of trade and industry of India. PricewaterhouseCoopers (PwC) is a multinational professional services network headquartered in London, United Kingdom.